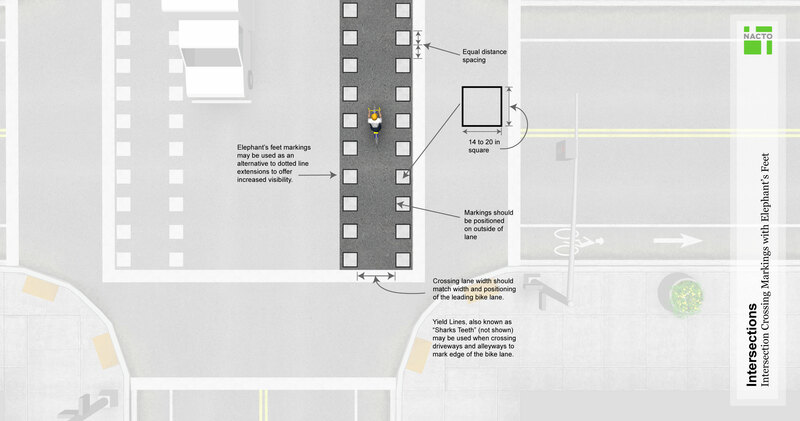 What were Mayor Daley and the previous Transportation commissioners waiting for when it came installing modern and then-innovative bikeway facilities? Why have Rahm Emanuel, Gabe Klein, and the Chicago Bicycle Program installed every modern and previously-innovative bikeway treatment under the sun in just three days? The project’s not over, but a lot has happened since Monday. Same yield squares (elephant’s feet) at driveways. New signage telling turning drivers to stop for people walking across the street and riding their bikes. *I always forget that Chicago created its first through-intersection bike lane at Sheridan and Ardmore, at the north terminus of the Lakefront Trail, to get bicyclists onto the on-street bike lane network.